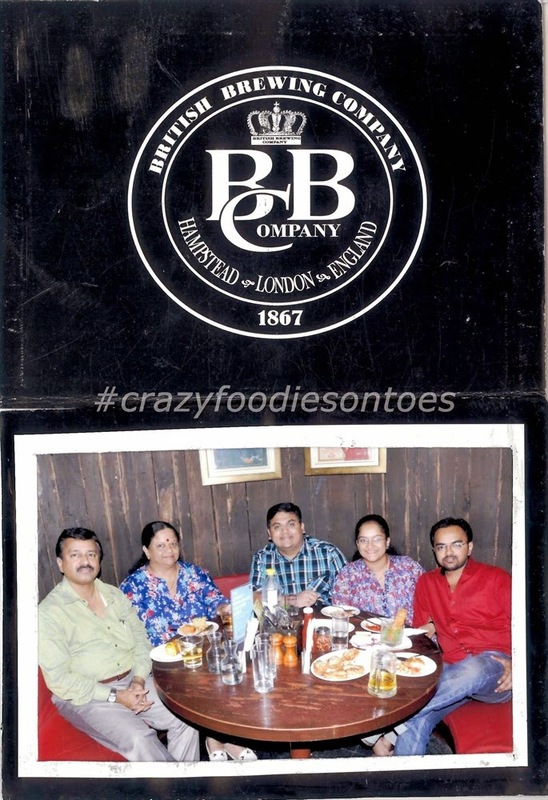 #CFOT found an amazing hangout destination last weekend, British Brewing Company also known as BBC. 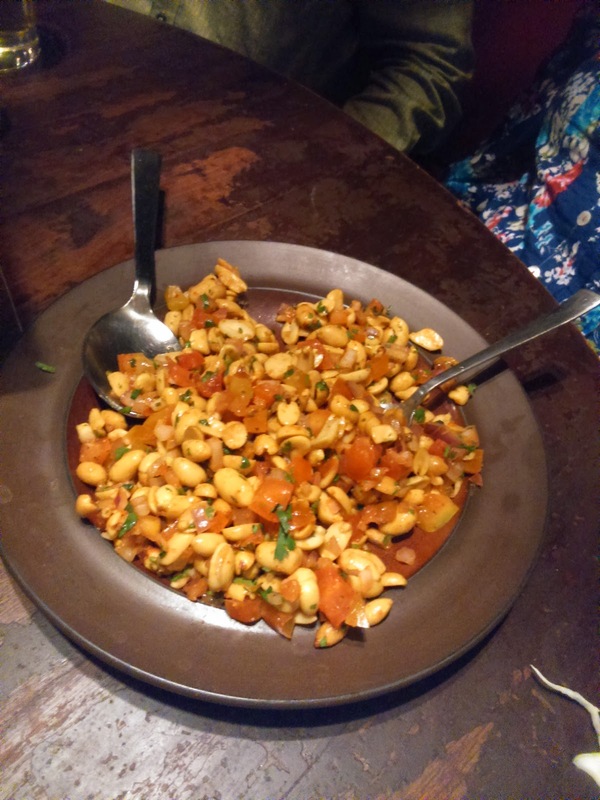 We visited the resto located in Oberoi Mall, Goregaon, Mumbai. The restaurant from outside looks very jazzy hence for a brief moment I was apprehensive to take our folks inside. Not that my folks are less jazzy but that night we wanted a place which could give us some privacy along with good food & drinks and BBC gave us exactly what we desired. Me & Bro first enquired at the reception for a table of five. The sweet lady asked one of us to come with her to check if the table suits us which I found courteous. My brother went in while I waited for Hubby & my parents as they bid goodbyes to the waiting list of other two restaurants on a Wednesday night, yep you read it right. Long waiting list for almost all restos in middle of the week. May be the due to the festival mood or probably everyone was celebrating that night. "Your brother is inside one of the barrels. Enjoy your time." And I was like, Did i hear a barrel? We entered without questioning and my we stepped into different era altogether. BBC represents the old bar culture where the beers came right out from the barrels. A sturdy and big center bar made out of wood with a bartender surrounded with people having a smiles on their faces and beers in their fist. The tables were occupied with beer lovers of all ages (of course all above 18) and there right in one of the corners I found a big barrel and my brother in it as well. This was a good arrangement with a round table in between we all scooched and settled quickly. The attendant with a reindeer hat (already in x'mas mood) came greeted us with a smile and handed over a tablet. The app used in the tablet is very simple hence you don't have to be a geek to operate. 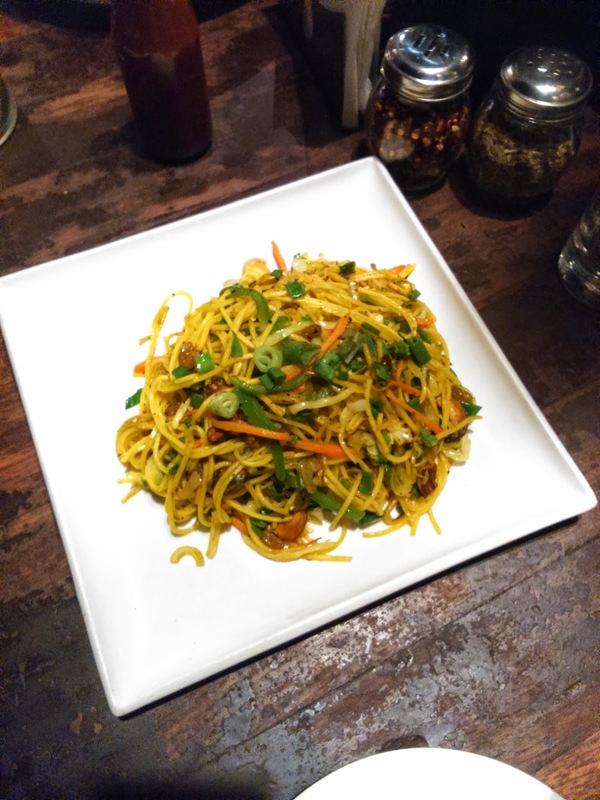 The food menu offered is not exhaustive yet it is carefully chosen. 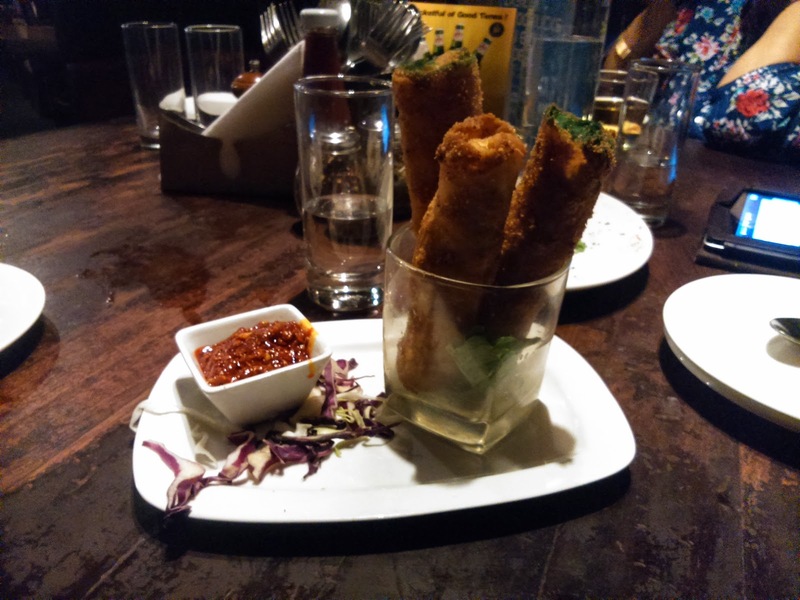 Finger foods is definitely the specialty and that is what goes best with beer or for any other alcoholic beverage. Check out the food menu here. All of us were on a vegetarian diet hence I cannot comment anything on the non-veg options. Since we were in a barrel which gave us total privacy couldn't peep much on to different tables to check what was the most-ordered dish. 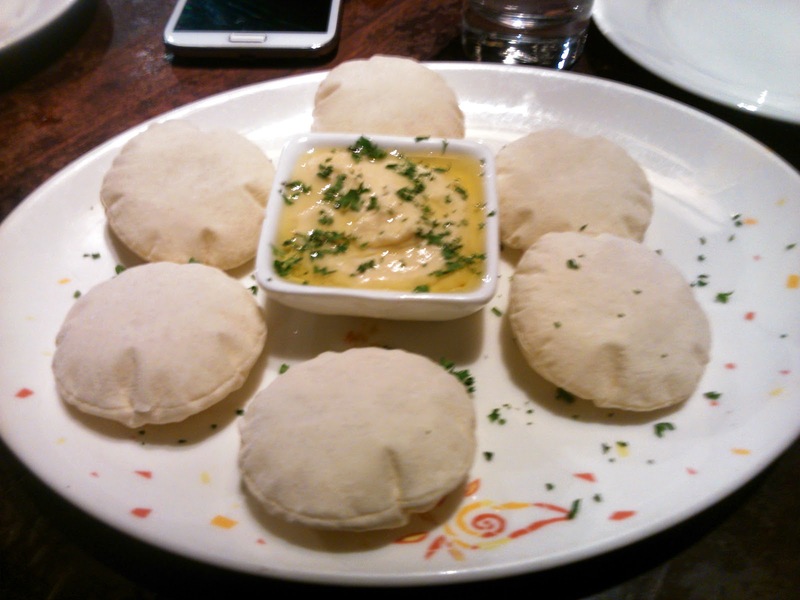 We ordered for a delectable pita bread and hummus spread. The hummus was prepared well and the pita breads were so cute. The portion is small hence you need to order extra breads. Followed with Hot Cheesy logs. Oh! This small rolls were oozing with gorgeous cheese and the spicy schezwan sauce complimented it perfectly. 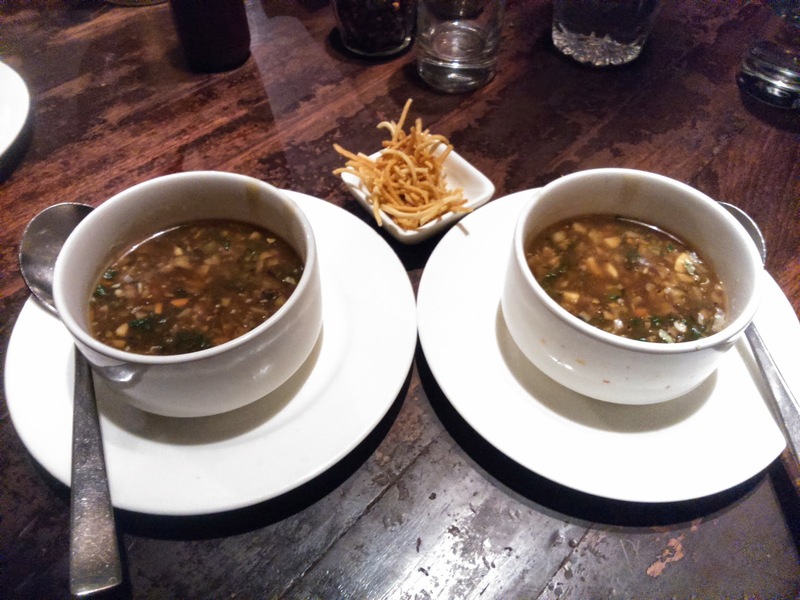 Then next we ordered the regulars like Hot & Sour Soup, Bruschetta, Singapore noodles & Peanuts Masala which were yum. The preparation is good. Presentation very urban. A tasty surprise dish on the menu for me was Corn on the cob. 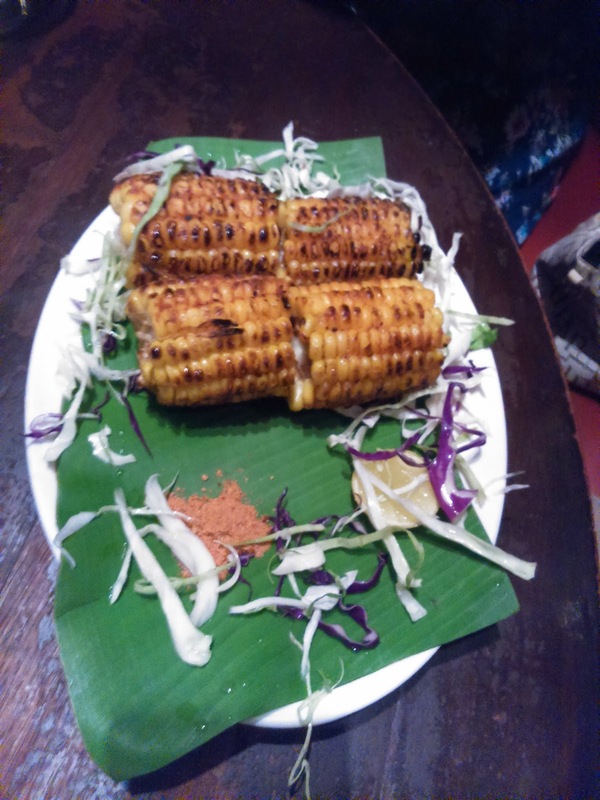 Not many restaurants serve corn in its local Mumbai-desi style. Boiled corn slammered with lots of lemon, butter and tangy chat masala. We ordered two portions of this as me and mom love to nibble on the chatpata corn. 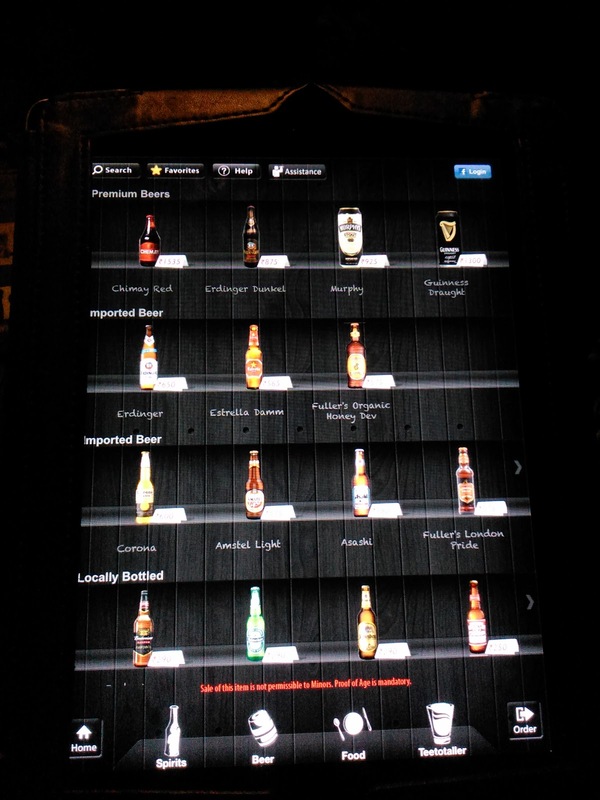 The place offers wide range of national and international beers, so a must go to place for beer enthusiasts. Infact they have the entire ambiance dedicated to the craft of beer drinking. They also serve other malts and they do also serve our (HubbynMe) favourite Jacob's Creek Wine. They had an offers on drinks which I think might change according to the restaurant policies hence not mentioning those but we were lucky to get one. Check out the drinks menu here. One more highlight, but I am not sure if they have it everyday all year round or it is just because it's the holiday season but whatever the case they had an in-house photographer who clicks decent snaps and gets a print for you for approx. 50 INR per copy. 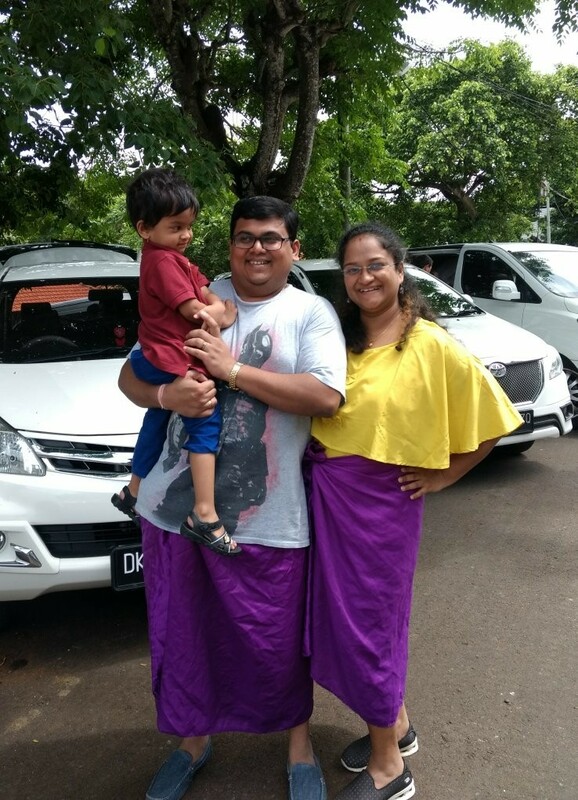 You can get group pics clicked an then they give it in a BBC paper photograph cover which acts a cute souvenir of a great time spend with your friends, colleagues or family like we did.